ANN ARBOR, Mich. — Every day, millions of people with bipolar disorder take medicines that help keep them from swinging into manic or depressed moods. But just how these drugs produce their effects is still a mystery. Using genetic analysis, the new study suggests that certain medications may help “normalize” the activity of a number of genes involved in communication between brain cells. It is published in the current issue of Bipolar Disorders. Scientists already know that bipolar disorder’s roots lie in genetic differences in the brain — though they are still searching for the specific gene combinations involved. When the researchers compared the gene activity patterns among the brains of bipolar disorder patients who had been exposed to antipsychotics with patterns among those who weren’t, they saw striking differences. The similarities were strongest in the expression of genes involved in the transmission of signals across synapses – the gaps between brain cells that allow cells to ‘talk’ to one another. 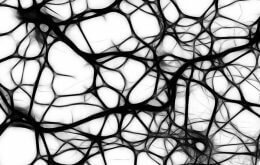 There were also similarities in the organization of nodes of Ranvier – locations along nerve cells where signals can travel faster. McInnis, who is the Thomas B. and Nancy Upjohn Woodworth Professor of Bipolar Disorder and Depression in the U-M Department of Psychiatry, worked with U-M scientists Haiming Chen, M.D. and K. Sue O’Shea, Ph.D., of the U-M Department of Cell and Developmental Biology. They also teamed with Johns Hopkins University researcher Christopher Ross, M.D., Ph.D. on the new research; U-M and Johns Hopkins have a long history of collaboration on bipolar disorder research. Using “gene chip” analysis to measure the presence of messenger RNA molecules that indicate gene activity, and sophisticated data analysis, they were able to map the expression patterns from the brains and break the results down by bipolar status and medication use. The bipolar and control (non-bipolar) brains were matched by age, gender and other factors. Among those that were “nudged” were genes that have already been shown to be linked to bipolar disorder, including glycogen synthase kinase 3 beta (GSK3β), FK506 binding protein 5 (FKBP5), and Ankyrin 3 (ANK3). The University of Michigan is currently seeking adults and children with bipolar disorder, and those without the condition, to take part in several research studies of bipolar disorder. To learn more, visit www.umclinicalstudies.org and search for “bipolar”. For more about the Prechter Fund, visit www.prechterfund.org.